Red River Rivalry to the Nth Degree | Lotto Central - Play For FREE! 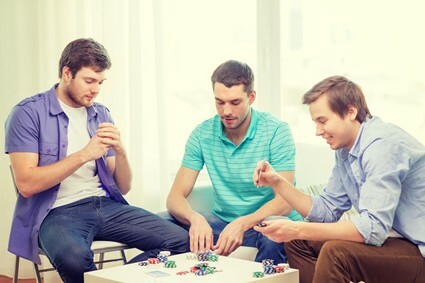 Lotto Central - Play For FREE! The Boys in the Lotto Lab have uncovered some startling information about our neighbors to the North. The Texas – Oklahoma Red River Rivalry runs much deeper than Texas – OU football. It turns out, those Okies have a lot to answer for. Typical Oklahoma duplicity: Click Here. The Boys have called them over and over and over again, no response. The Boys in the Lotto Lab were ticked about this BLATANT PLAGERISM. But… they’re nothing if not reasonable. 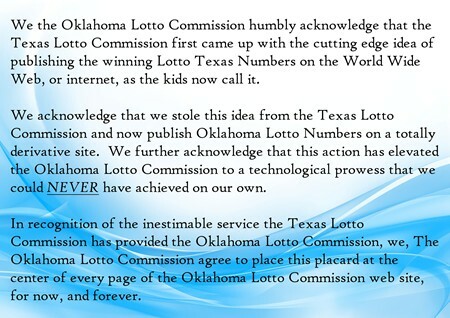 The Boys graciously agree to permit the Oklahoma Lottery Commission to keep their imitation lottery and their imitation lottery website as long as the placed the following acknowledgment/mea culpa discretely at the center of every page of the Oklahoma Lottery website. Do you see it??? I don’t either!!! Click Here. The Boys have undertaken additional research and have learned that Oklahoma has messed with Texas before. 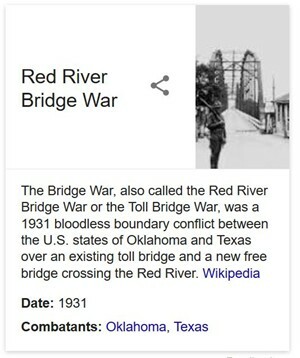 There was the 1931 Red River Bridge War. All LEGITIMATE Historians agree that Texas was ENTIRELY in the right. 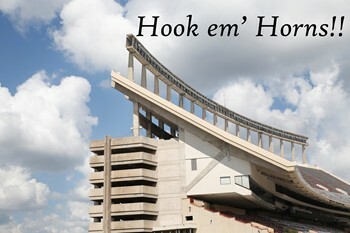 Just so you know… in all conflicts of any sort involving Texas…. It began in July 1931. The conflict arose by the opening of a newly completed free bridge built jointly by the two states. The bridge ran across the Red River between Denison, Texas, and Durant, Oklahoma. Due to Oklahoma shenanigans, the courts issued a temporary injunction on July 10, 1931. In support of the “Rule of Law,” Texas Governor Ross Sterling ordered barricades erected across the Texas approaches to the new bridge. The Texas Governor’s action was necessary because Oklahoma Governor William Murray claimed that Oklahoma held title to both sides of the river from the Louisiana Purchase treaty of 1803. The Boys wanted to get to the bottom of the Louisiana Purchase tie in. They are nothing if not fair and balanced. The Boys immediately contacted the French Embassies in Dallas, Austin, Houston and Paris, Texas. Given the French Ambassador’s ambivalent response and lack of cooperation, the Boys fear the French are working with the Oklahomans to confuse the facts and obstruct justice. The Boys fear the French, aided by the conspiratorial Oklahomans, may erect a Toll Bridge across the Red River and siphon cash from hard working Texans. Cash Texans need for the purchase of Texas Lotto tickets. During their investigation, The Boys learned a lot of things that just didn’t add up. For example, they first became suspicious when they learned that the French Government does not maintain an embassy in Paris, Texas. According to The Boys, THAT is prima facie evidence of foul play. The Boys could have closed the investigation and issued warrants for the culprits right then and there, but they’re nothing, if not thorough. There’s more foul play afoot than just the lottery and the bridge war, here’s another startling expose describing why Oklahoma hates Texas. Click Here. The Boys immediately planned trips to Austin, Oklahoma City and Paris, France to get the facts and get to the bottom of these important issues. As they have not been put on the Texas Lotto Commissions payroll as yet, they set up a “Go Fund Me” account to pay for their international travel. The Boys were hovering around their donation screen waiting for the cash from their fans to flood in when they realized they might no longer have a case. You see, the bridge was dynamited on December 6, 1995, to make room for a new one. Oklahoma dodged a bullet this time. But we warn you, don’t get cocky. The Boys in the Lotto Lab continue to keep a sharp eye on our neighbors to the North. Thus far, there’s been no movement of Oklahoma Military Forces on the new bridge. Nevertheless, The Boys remain vigilant. Fair warning… when those goofy looking Oklahoman’s flapping their goofy looking window flags come pouring across the Red River for the Cotton Bowl Red River Shootout, they better not try anything. The Boys in the Lotto Lab will be watching your every move. Should you try your ridiculous 1931 shenanigans again, KNOW… The Boys have the Texas Guard on speed dial. Welcome to Texas!!! Stand by to get Stomped!!! 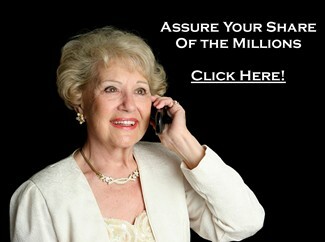 Make Sure You’re Set to Share in the Multi-Millions. Lotto Central – Play For FREE! | Powered by Mantra & WordPress.